Houston Press best festival of ‘09! 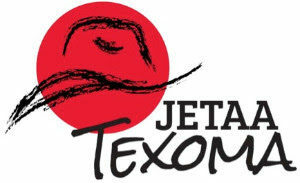 Join fellow JET Program alumni and more than 20,000 other folks who are crazy about Japan at the Japan-America Society of Houston (JASH) Japan Festival in Hermann Park. Expect to find great food, taiko drumming, marshal arts demonstrations, ikebana, tea ceremony, exhibitors from across the U.S. and much, much more. Entrance is FREE (though you will definitely want to buy tickets for food and drink).